A training is meant to improve the skills of employees and increase the efficiency and productivity of a person, be it students or employees. You might be surprised, but there is also a need to have a contract in place when doing a training. The same concept of contract law applies to training contract as any other contract. Because training contracts are legal documents, all the essential elements of a contract must be found on the contract. In this article, we provide you with useful training contracts that are perfect for your business needs. Check them out below. 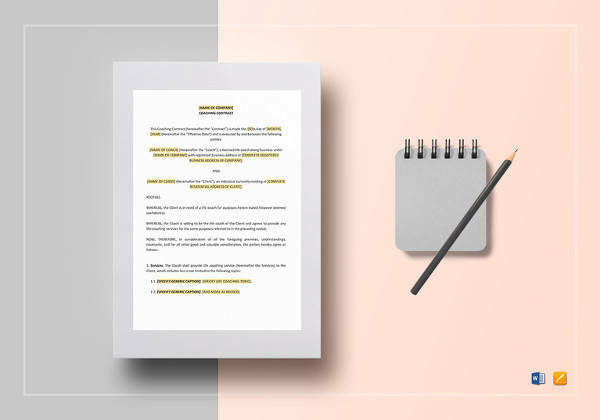 Writing a training contract is no different than writing any other contract. This means that all the other components of any legal contract must also be found on the training contract. 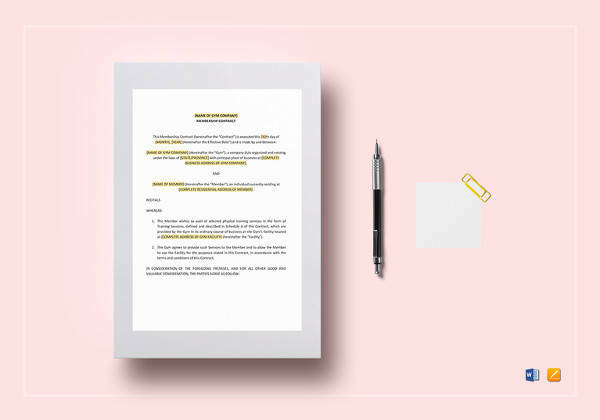 Contract agreements, in this case a training contract agreement, must contain the name of the parties involved, the necessary terms, all vital clauses, and the signatures of the parties. A training contract, however, will need to spell out all the necessary terms of the training. This includes the fees to be paid, refund, rules during the training, training materials, obligations of the trainee and trainer, etc. You can also take a look at training contract agreements online. A training is designed for improvement. 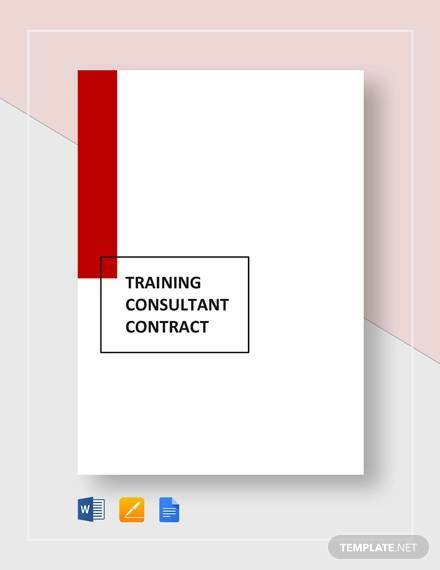 When your employer or trainer gives you a training contract, do not immediately sign the contract without reading it, as with all contracts, whether it be services contract or employment contract. Be sure to carefully examine all the terms in there and make sure that you agree with all of it. Examine who will shoulder the fees involved in the training. Read and see if you agree with your obligations. Carefully study the termination terms. A training contract is used for a variety of purposes. It may be used for training an employee or even a racehorse. 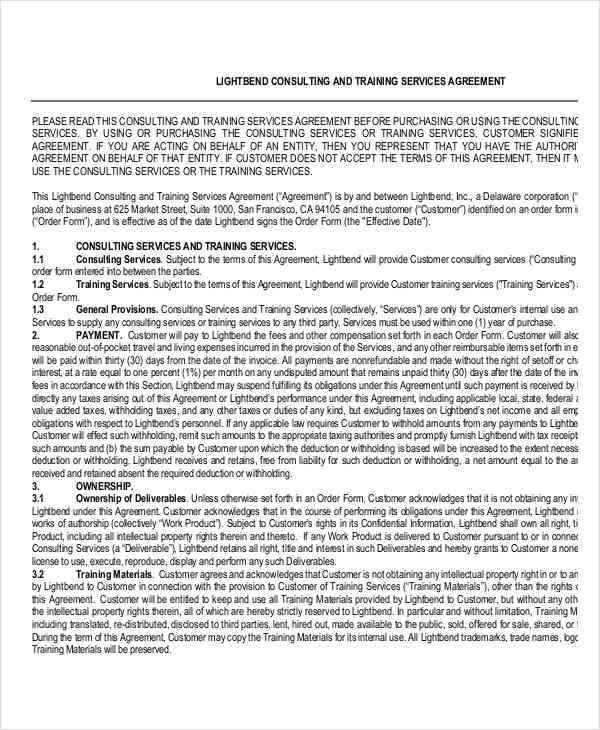 Making a training contract is not that hard. You just have to know the basic elements of a contract and writing would be easy. 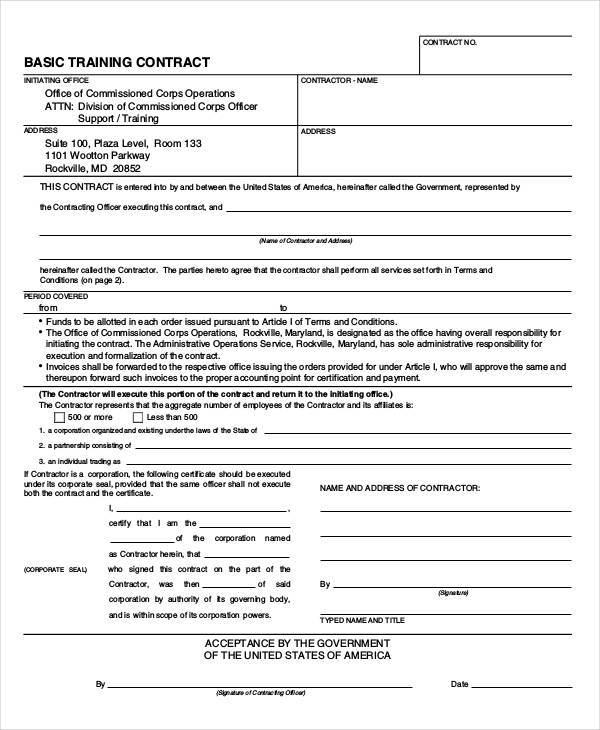 These training agreement contract and management contract agreements are other relevant documents you may be interested in. Mention the parties of the contract. This is Contract Making 101, but you will be surprised how many people fail to accurately state who the parties involved are. Write down all the training terms. A training involves a number of important things. Make sure to consider all of them and state them in the contract. This includes the training materials to be used, the rules to be followed during the training, the fees and expenses, etc. Be as comprehensive as you can. Establish ownership and property rights. 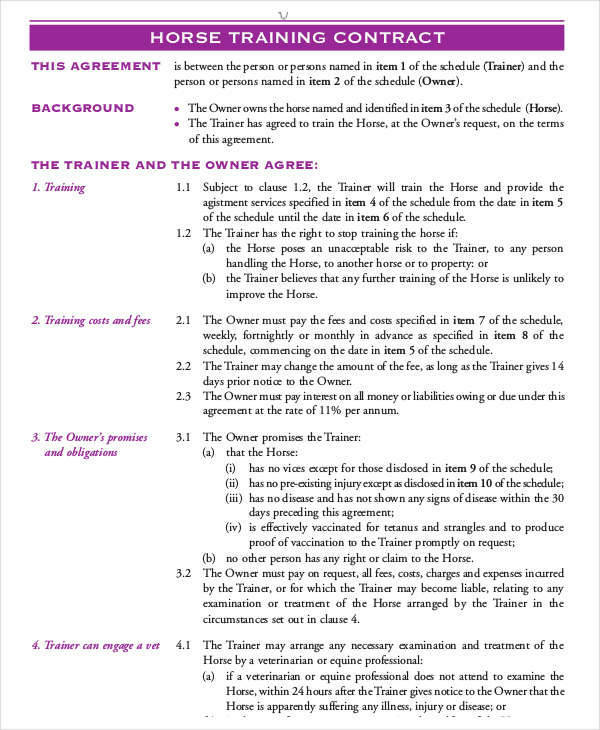 In the case of training a racehorse, mention who will be the rightful owner and if he or she owns the horse 100%. 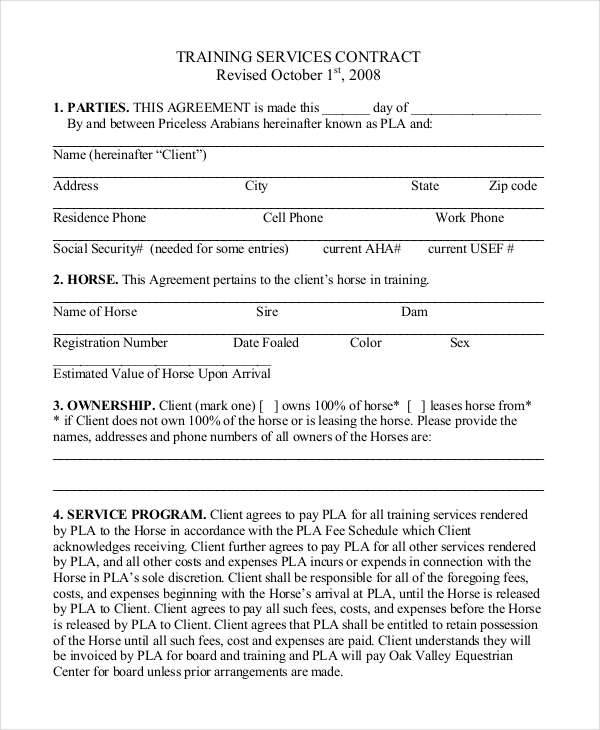 Training contracts need to be set in place in order to have a smooth training process. 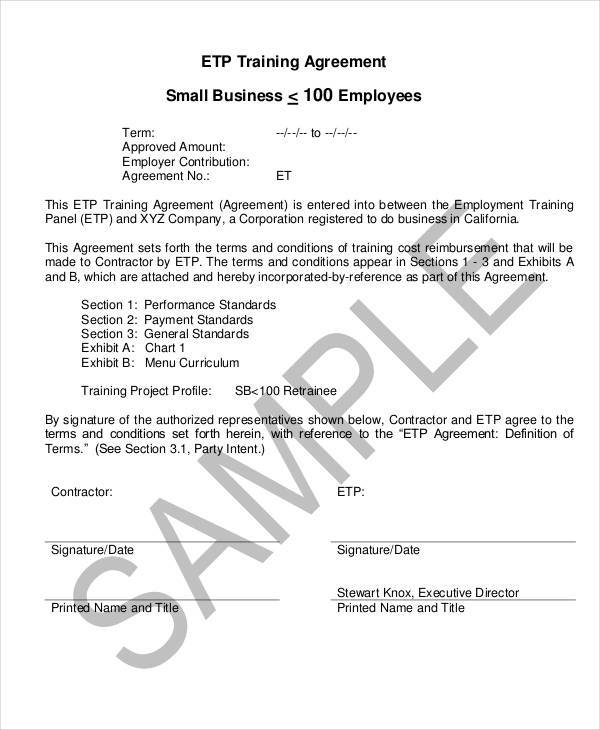 If you are looking these types of contracts for your organization, check out the contract templates above.